This book is a wonderful snapshot of iconic places (and of the people who inhabit them) in the cultural landscape of Detroit, Flint, and Jackson, Michigan. To most Americans, these names mean cars, but to the people who live there, coneys count, and here is the book to whet the appetite and evoke 'home,' as no other food can. 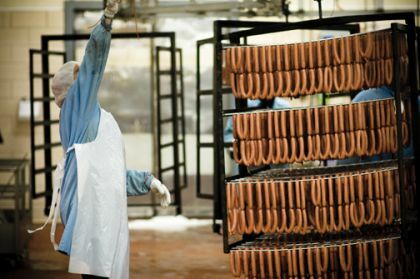 Detroit is the world capital of the coney island hot dog-a natural-casing hot dog topped with an all-meat beanless chili, chopped white onions, and yellow mustard. In Coney Detroit, authors Katherine Yung and Joe Grimm investigate all aspects of the beloved regional delicacy, which was created by Greek immigrants in the early 1900s. 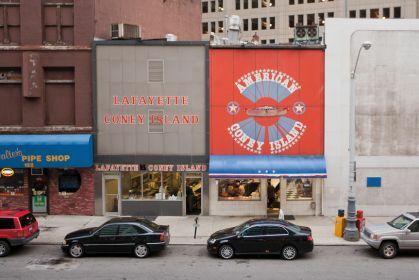 Coney Detroit traces the history of the coney island restaurant, which existed in many cities but thrived nowhere as it did in Detroit, and surveys many of the hundreds of independent and chain restaurants in business today. In more than 150 mouth-watering photographs and informative, playful text, readers will learn about the traditions, rivalries, and differences between the restaurants, some even located right next door to each other. 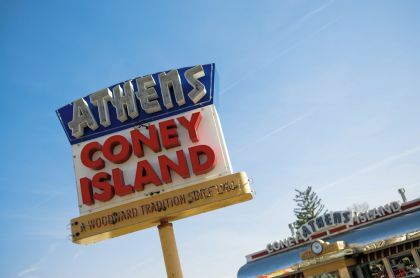 Coney Detroit showcases such Metro Detroit favorites as American Coney Island, Lafayette Coney Island, Duly's Coney Island, Kerby's Coney Island, National Coney Island, and Leo's Coney Island. As Yung and Grimm uncover the secret ingredients of an authentic Detroit coney, they introduce readers to the suppliers who produce the hot dogs, chili sauce, and buns, and also reveal the many variations of the coney-including coney tacos, coney pizzas, and coney omelets. 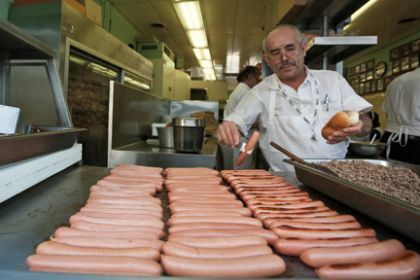 While the coney legend is centered in Detroit, Yung and Grimm explore coney traditions in other Michigan cities, including Flint, Jackson, Kalamazoo, Port Huron, Pontiac, and Traverse City, and even venture to some notable coney islands outside of Michigan, from the east coast to the west. 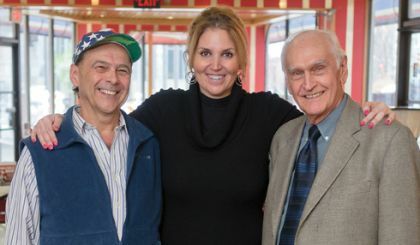 Most importantly, the book introduces and celebrates the families and individuals that created and continue to proudly serve Detroit's favorite food. Not a book to be read on an empty stomach, Coney Detroit deserves a place in every Detroiter or Detroiter-at-heart's collection. Katherine Yung is a reporter at the Detroit Free Press covering Michigan's economy and other business subjects. Before joining the Free Press in May 2007, she worked for the Dallas Morning News and the Detroit News. Joe Grimm is the author of several books, including Windjammers: Songs of the Great Lakes Sailors (Wayne State University Press, 2002), Songquest: The Journals of Great Lakes Folklorist Ivan H. Walton (Wayne State University Press, 2005), and Bringing the News. Following a thirty-one-year newspaper career, twenty-five of them spent at the Detroit Free Press, he became a journalism professor at Michigan State University. Take a hot dog from New York's famed Coney Island, throw in plenty of Greek immigrants and a booming auto industry, add some chili sauce, a steamed bun, chopped onions, mustard and an epic sibling rivalry and you've got the makings of a classic American melting pot story. 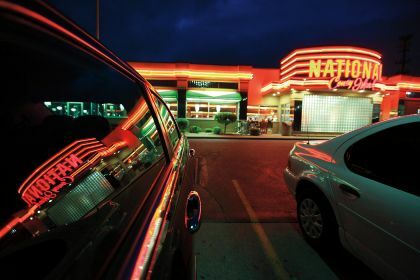 That story is told in Coney Detroit, a new book that serves as paean for what's become the quintessential dish of the Motor City. More than 150 colorful photos depict the traditions, rivalries, and differences between restaurants that sell the coney in its various forms: wet and dry. While the coney legend is centered in Detroit, Yung and Grimm also uncover coney history in other Michigan cities including Flint, Jackson, Kalamazoo, Port Huron, Pontiac, and Traverse City. 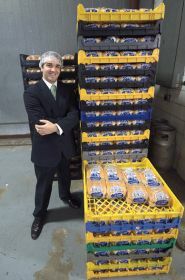 Every politician campaigning in Detroit must get photographed with a coney in hand. Athletes and music stars going for after-game or concert coneys run into fans doing the same thing. When national media declare a coney showdown, we flock to the restaurants to cheer on our favorites like we cheer on our sports teams." This book is a wonderful snapshot of iconic places (and of the people who inhabit them) in the cultural landscape of Detroit, Flint, and Jackson, Michigan. To most Americans, these names mean cars, but to the people who live there, coneys count, and here is the book to whet the appetite and evoke 'home,' as no other food can." At a time when a growing number of Americans are discovering-or rediscovering-their foodways traditions, Coney Detroit provides a rich and colorful picture of the way coney dogs have emerged as a distinctive symbol of identity for Detroiters. 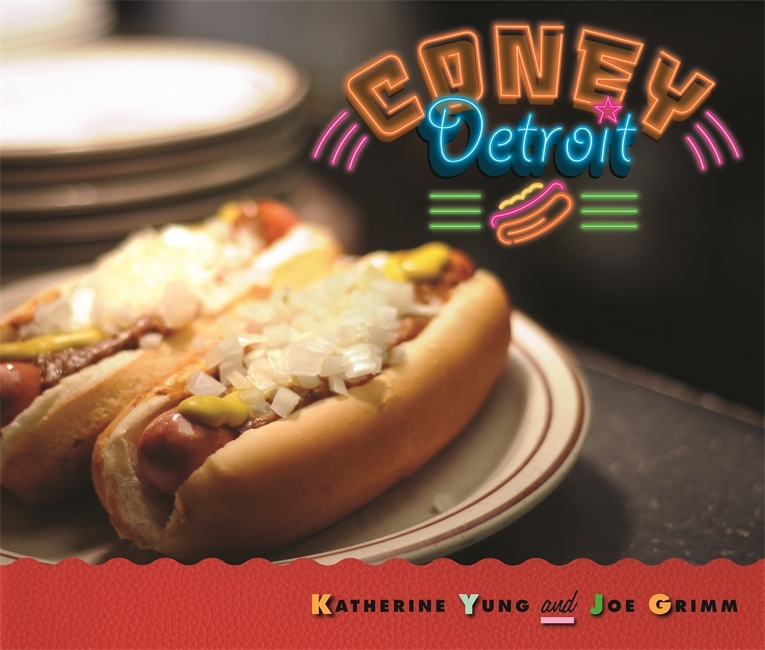 Yung and Grimm provide keen insights into the history and daily life of the coney island restaurants that dot the cityscape of Detroit, and they feature the people who make and passionately carry on coneys as a Michigan folk tradition. 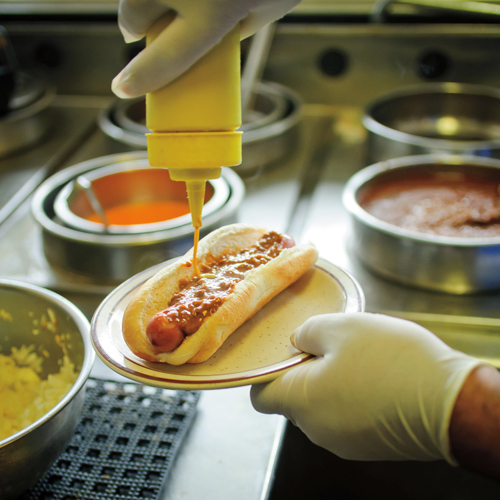 Coney Detroit is a lively celebration of how food contributes to identity of place and meaning to all those who have taken a bite of Detroit's coney tradition."